“Sick of old school sick of new / Sick of things I used to do” snarls the boss she-hog Cristina Martinez. Once again, the continuing evolution of this band shows off the big knives when they pull out the switchblades. The glossy urban cowboy delta blues of this band rock harder than any brain-dead, armpit-scrubbing, furniture-hogging MTV hyperboys. 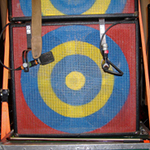 Everyone realizes that Martinez and her band mates, Jon Spencer, Jens Jurgensen, and Hollis Queens, confirm what the punk-rock faithful have always known: the more noise you make, the quicker you get what you want. 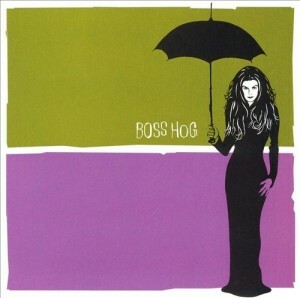 On this album, Boss Hog hits the blues books for a more studious, serious endeavor as compared to the party atmosphere of Cold Hands. The approach is a bit uneven but understandable. I’d wear a “Green Shirt” any day of the week.